Nowadays smartphones have become a necessity, whether it be for health care, socializing or networking, entertainment, and much more. With the increase in demand, there are many brands available with various features, operations, and facility. LFY, also well-known as Reliance LYF is an India based company for manufacturing 4G enabled mobile handset with VoLTE. The headquarter is in Mumbai, Maharashtra, India. Launched in September 2016, LYF Water 11 has the 5-inch touchscreen display with the resolution of 720 pixels x 1080 pixels. The maximum retail price of the smartphone in India is around Rs. 6795/- with the clarity of 294 pixels per inch. 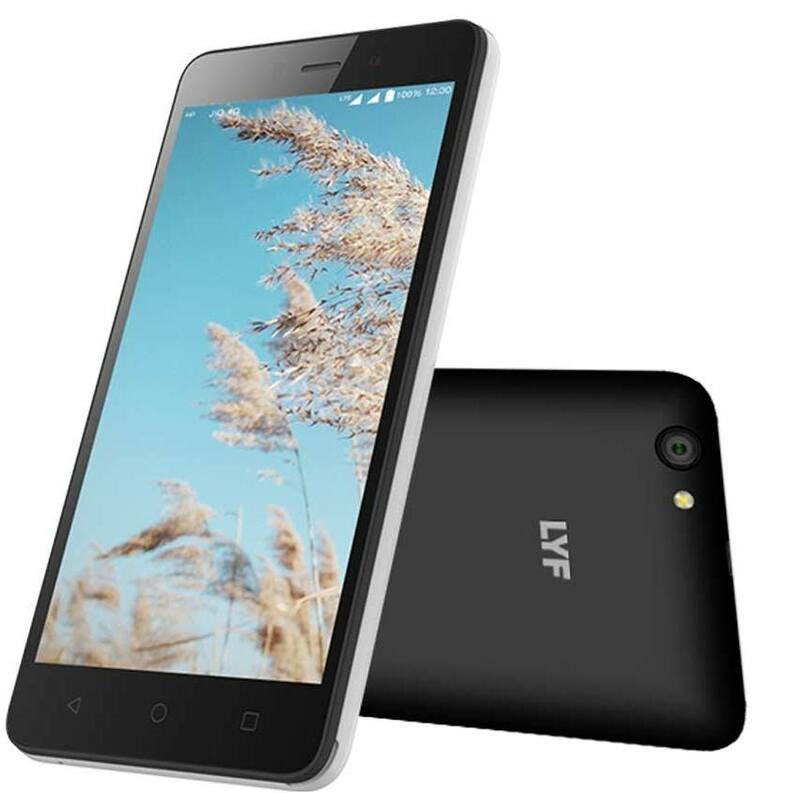 LYF Water 11 is powered by 1.3GHz quad-core MediaTek MT6735A processor with 3GB RAM. The internal memory offered by LYF Water 11 is 16GB which can display with the help of a microSD card up to 32GB. The rear camera allows you to capture at 13MP, whereas selfies can be captured with the 5MP front camera. LYF Wind 4 comes with 5″ touchscreen display resolution of 720p x 1080 and 293PPI. The MRP for LYF Wind 4 start with Rs. 6,500/- anywhere across India. The 8GB internal memory of LYF Wind 4 can be extended up to 32GB using additional microSD card. LYF Wind 4 has the rear camera with the resolution of 8MP and front camera with 2MP. The smartphone is loaded with Android 5.1 and has 4000mAh powerful battery which is non-detachable. LYF Wind 6 is another budgetary smartphone which was launch in February 2016. Without any compromise, LYF Wind 6 has touchscreen 5″ display with the resolution of 480px854p. The start cost of this smartphone is Rs. 5399/- across India. Being powered by Qualcomm Snapdragon 210 MSM8909 1.1GHz quad-core processor and RAM of 1GB. 8GB is the internal memory of the phone which by using microSD card can be increased up to 32GB. LYF Wind 6 has the powerful 5MP camera in front as well as rear to give the best experience which selfies and memories. The smartphone comes with Android 5.1 and has a removable battery of 2250mAh. LYF Wind 6 is a dual sim (GMS + GSM) smartphone with supports Micro SIM in both the slots. You can connect to the world via 4G (with Band 40 supported which is been used by LTE network in India), 3G, Bluetooth, GPS, FM, and Wi-Fi. The sensors that are already inbuilt in the smartphone are accelerometer and proximity sensor. Reliance Jio LYF has total 10 different varieties in Flame series. The price range of this series starts from Rs. 2999/- and can reach up to Rs. 4699/-. LYF Flame 1 smartphone is a 4.5-inch display which is touchscreen. The resolution of the smartphone is 480 pixels by 854 pixels. It is a mid-range phone which cost Rs. 4199/- to the pocket. LYF Flame 1 has 1.1GHz quad-core processor Qualcomm Snapdragon 210 MSM8909 along with 1GB RAM. The LYF Flame 1 has 8GB internal memory and by connected microSD card can be expanded up to 32GB. The front and rear cameras resolution are 5MP each, thus make your moments clear. The smartphone run on Android 5.1 and has the removable battery of 2000mAh.